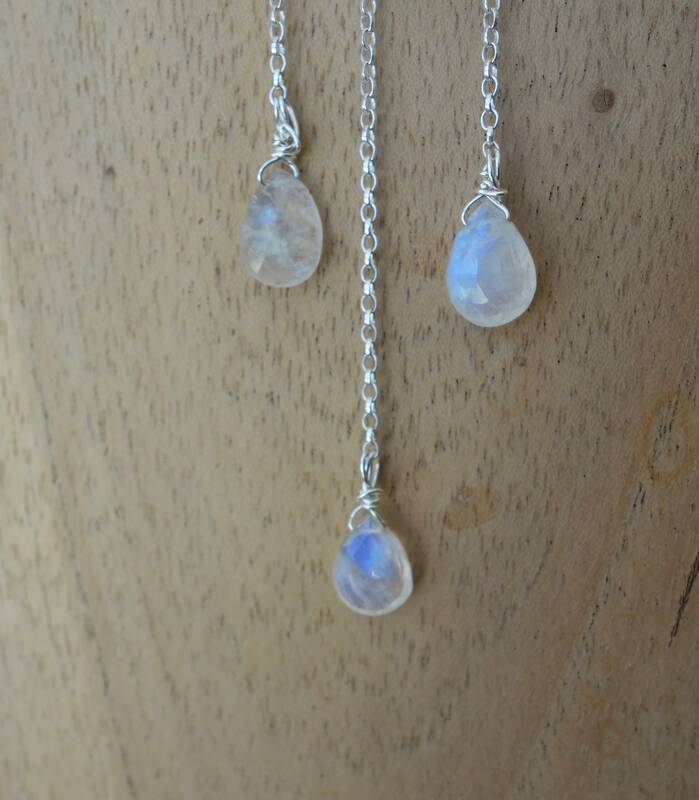 Necklace double sided in silver with etching, patina and white peristerite or labradorite briolettes. For women. Silver necklace 925/1000 and consists of a pretty chain with a length of 40 cm and a delicate sterling silver worked on both sides with great care and detail 950/1000. 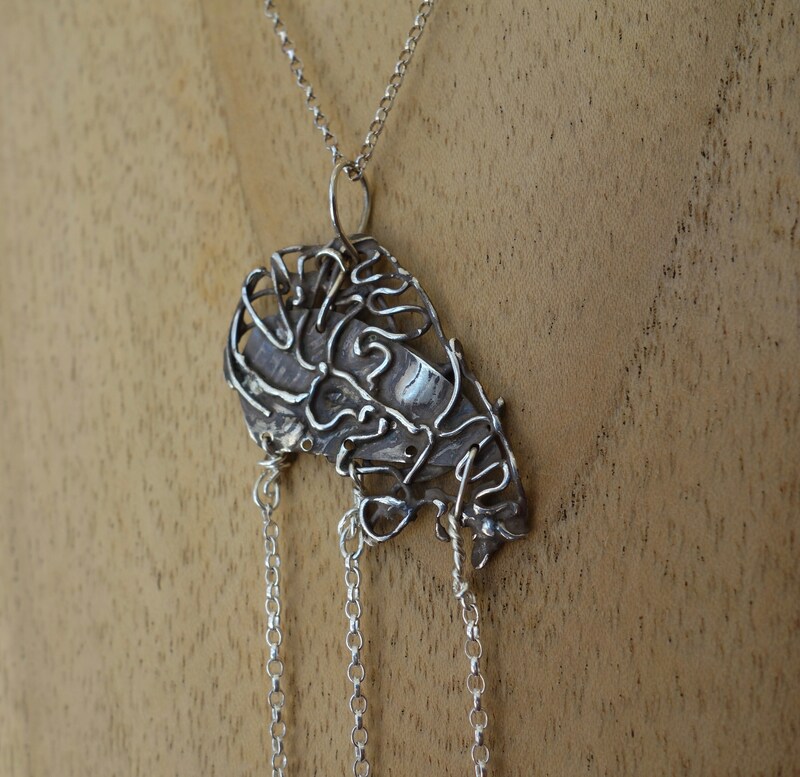 Various elements were welded on the pendant to create a light volume, and then burn and weathered. 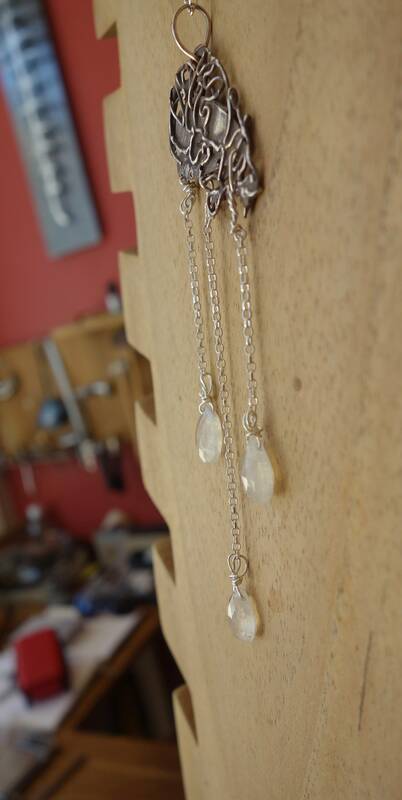 Pendants have been added with silver Belcher chain and three beautiful peristerite briolettes / white labradorite. This piece evokes both the pictorial world as he worked in mind but also light and airy cloud appearance. It is particularly delicate and elegant. 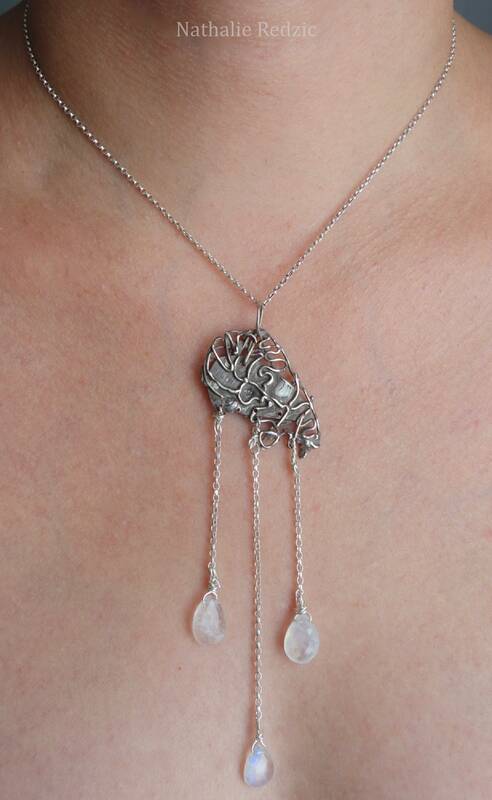 This necklace was completely made by hand in one piece, it is original and neat in less detail.